The category celebrated its 50th season in 2008, the FJHRA Formula Junior Championship is booming, with huge worldwide interest in the category for 1100cc single-seater racing cars. 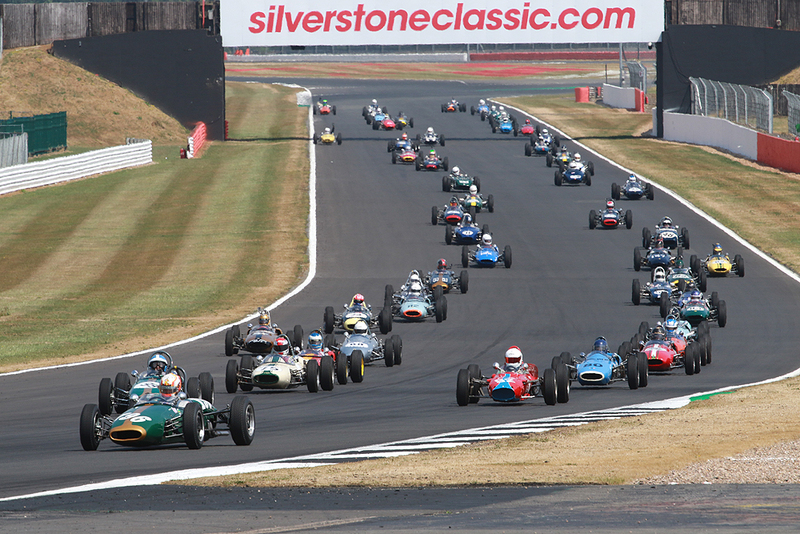 Although Formula Junior only existed from 1958 to 1963, it continues to be one of the most popular of all historic racing categories. The HSCC works closely with the FJHRA in the running of the UK championship. Class A. Front-engined Formula Junior cars fitted with Fiat or Lancia engines and built and raced before 31.12.1960 (FIA Category FJ/1A). Class B1 Front-engined Formula Junior cars built to race before 31.12.1960 (except cars falling within Class A). (FIA Category FJ/1B) fitted with engines of 1000cc or less. Class B2 Front-engined Formula Junior cars built to race before 31.12.1960 (except cars falling within Class A). (FIA Category FJ/1B) fitted with engines of 1100cc or less but in excess of 1000cc. Class C1 Rear-engined Formula Junior cars built and raced ( or officially entered to race) before 31.12.1960 (FIA Category FJ/1C) fitted with engines of 1000cc or less. Class D1 Rear-engined and front-engined Formula Junior cars built and raced between 01.01.1961 and 31.12.1963 (FIA Category FJ/2D),and fitted with drum brakes on all four wheels, as original specification and fitted with engines of 1000cc or less. Class D2 Rear-engined and front-engined Formula Junior cars built and raced between 01.01.1961 and 31.12.1963 (FIA Category FJ/2D),and fitted with drum brakes on all four wheels, as original specification and fitted with engines of 1100cc or less but in excess of 1000cc. Class E2 Class E2 Rear-engined and front-engined Formula Junior cars fitted with engines other than Ford or fitted with Ford engines and a 4 speed gearbox of the original make and type as fitted in period built and raced between 01.01.1961 and 31.12.1963 (FIA Category FJ/2E) and fitted with a disc brake or brakes. Class F. Formula 3 500cc cars built and raced prior to 31st December 1962 (FIA Category F3/1). Class G1. Non-series production Formula 3 1000 cc cars built and raced between 01.01.1964 and 31.12.1965 (e.g. North Star, Lova, Barnett, Greenwood, Belgica) and series production Formula 3 1000cc cars fitted with sidedraft or two- stroke engines built and raced between the same dates. Class G2. Non-series production single-seater open wheel Formula 2 1.5 litre cars built and raced between 01.02.1956 and 31.12.1960 (e.g. Smith, Fry, H.A.R. Lister, Laystall, Lola-Smith). Class G3. Single-seater racing cars which were built to the rules of the Monoposto Register and which competed in that specification in races run to the Monoposto Formula (Class A and Class B) between 1st January 1958 and 31st December 1965. Class G4. Single-seater racing cars fitted with the Ford 1172 engine built and raced to that specification between 01.01.1958 and 31.12.1963 in races for the 1172 Ford Championship of Ireland. Class G6. Single seater racing cars not exceeding 250cc built and raced to that specification between 01.01.1954 and 31.12.1962 to the rules of the 250 Motor Racing Club. Class G7. Racing cars built and raced between 01.01.1963 and 31.12.1969 to the specification of R.A.C. Formula 4 (up to 250cc) and Formula 4/2 (up to 650cc) [NOT Formula 4/4 – 875 cc Imp engines]. Class G8. D.B. Monomil single seater racing cars. Class H Single seater racing cars not covered by classes A to G (which may include original series production FIA Formula 3 1000cc cars built between 1964 and 1970 and with make of engine as originally fitted to that chassis) which in the opinion of the championship committee should be invited to participate in any one particular race.